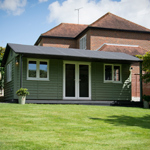 The Quarto Suffolk Barn is an impressive building and perfect for someone with room to build something truly stunning. This substantial building has the capacity for up to four people as an office and its uses vary from the perfect working space to an impressive craft room or leisure room. We’ll configuration the windows and doors of the Quarto Suffolk Barn to ensure you get the best view and maximum natural light. 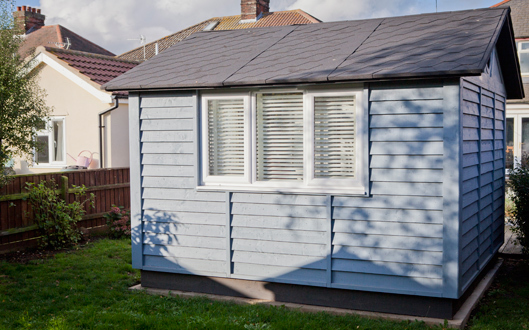 With fitted carpet, lighting and electrics the Quarto is like a home from home. The timber facets and rafters create a warm feel. With 4330mm x 3118mm (Approx. 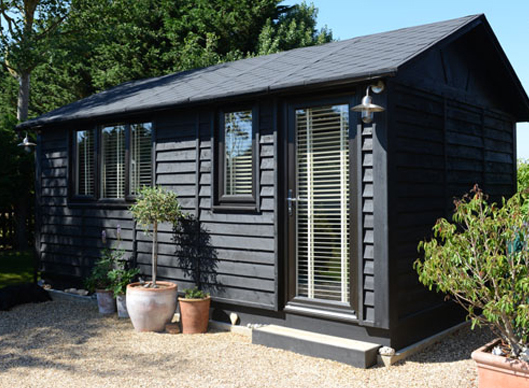 17’6” x 10’6”) there’s a massive scope to get really creative with the interior of your Quarto Suffolk Barn. 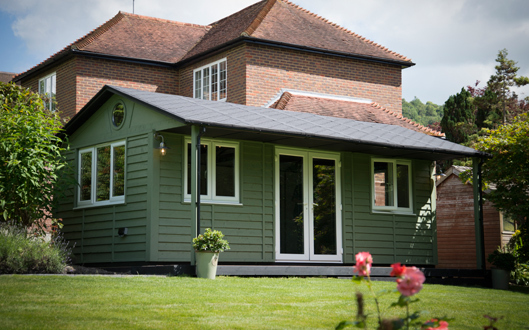 We adore our Quarto Suffolk Barn range because it works with modern and period buildings. Its style is rustic and traditional but what you can’t see is how strong the construction really is. 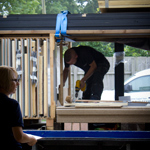 We use our TuSC construction system to ensure sure our buildings are hard to beat when it comes to rigidity and strength. The Versadesk: Take a look at the horseshoe and double boomerang versions of our renowned Versadesk both will look fantastic in the Quarto Suffolk Barn. Perfect for one person or a two person desk. The Quarto Suffolk Barn with low line roof meets all planning guidelines so you are unlikely to require a planning application in most locations. However if you do, remember we will on hand to manage the entire process for you. Have a look at our Quinto – The largest in the range! 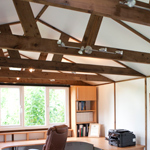 The Interior of the Suffolk Barn offers a fantastic space for all home owners looking for a bit more room. 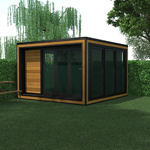 With solid timber rafters, and a versatile configuration, you can turn the Quarto into the room you’ve been dreaming of! 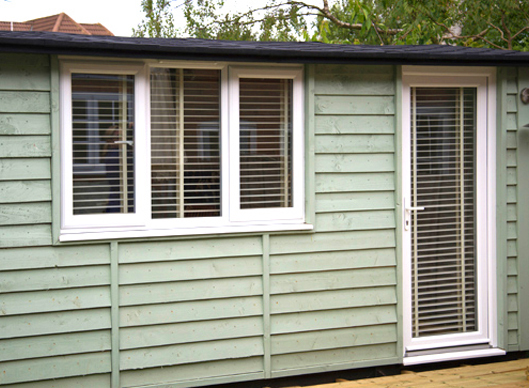 Not only can you personalise the interior the exterior can be adapted to suit your preferences too. 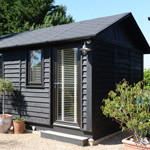 With the option of a high line roof and decking, you can adapt the interior and exterior to make a truly unique Suffolk Barn Quarto. 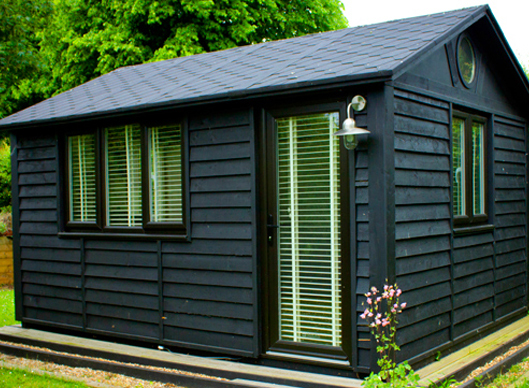 The Suffolk Barn Quarto is the second largest building in our range and still takes just 2-3 days to install. 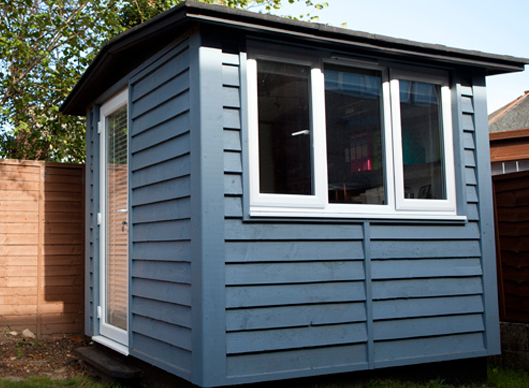 If you’re looking for a bit more space, the Suffolk Quinto is the largest in our range. 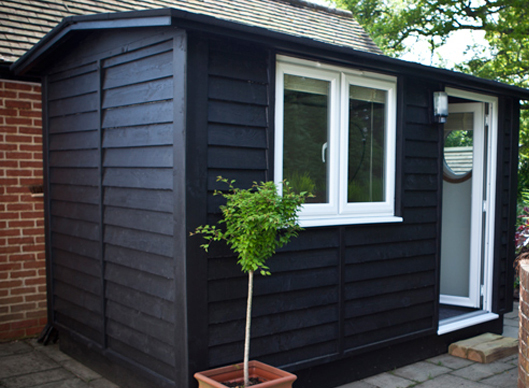 If the Smart Suffolk Barn isn’t quite what you had in mind, take a look at our Ultra Range.